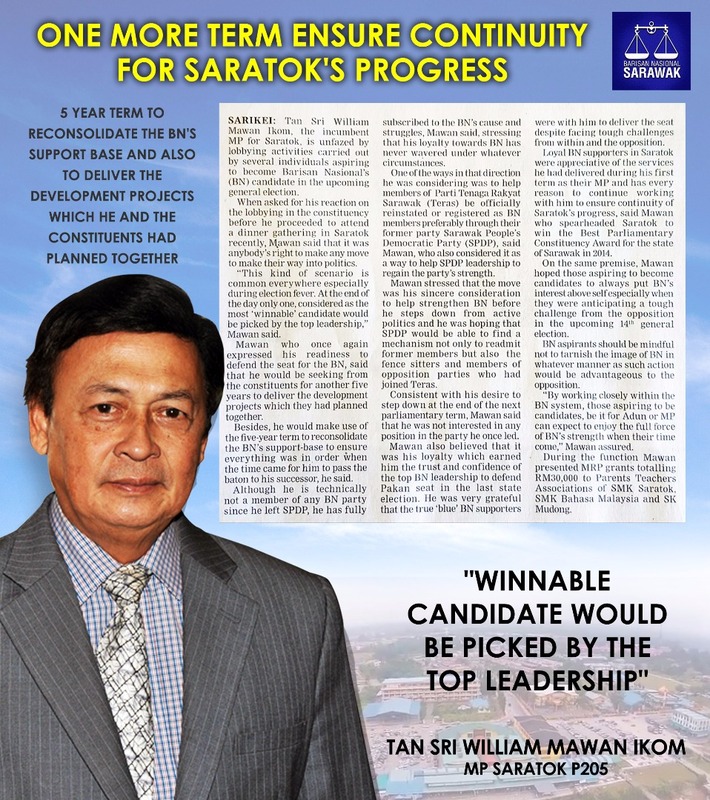 MP Saratok TS William Mawan will leave it to the Top Leadership to pick the “winnable candidate” for GE14. He has made his reasons known to the constituency and the ground support is evident when he goes on a walkabout in the area. Mawan also knows that the opposition will not rest on their laurels to capture this seat. The BN ruling government knows best and they too will look at Mawans track record and will give the ticket based on all the reports submitted. PM Najib and CM Abang Jo will have their final say and they will not want to risk a “winnable seat” . 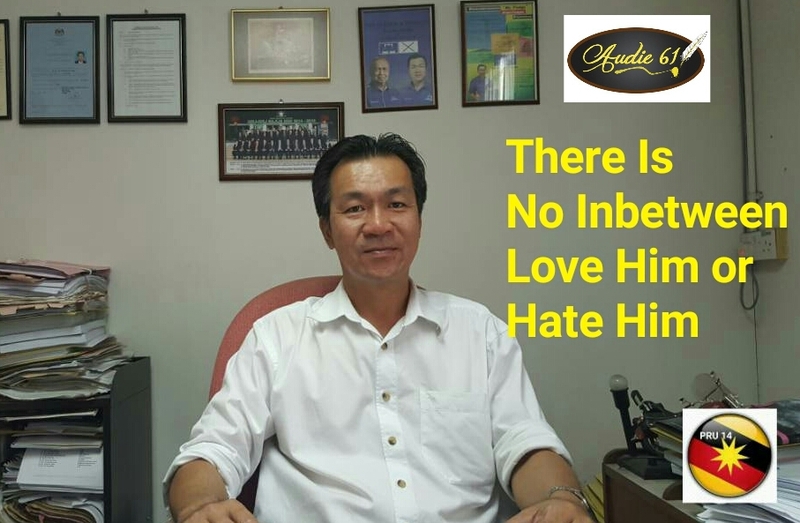 GE14 Saratok will be delivered to BN based on the winnable candidate and track record.